Any agreement would put pressure on Britain, which has 160 nuclear warheads, and other nuclear powers to reduce their stockpiles. Mr Obama has pledged to put nuclear weapons reduction at the heart of his presidency and his first move will be to reopen talks with Moscow to replace the 1991 US-Soviet Strategic Arms Reduction Treaty (Start), which expires in December. Under that pact, the two countries have cut their respective stockpiles from roughly 10,000 to 5,000. The plan is also complicated by the nuclear ambitions of Iran, which launched its first satellite into space yesterday, and North Korea, which is preparing to test a long-range ballistic missile capable of striking the US. Mr Obama views the reduction of arms by the US and Russia as critical to efforts to persuade countries such as Iran not to develop the Bomb. LONDON (Reuters) - The government will set out a six point plan Wednesday for a nuclear free world, at a time when global powers fear Iran will produce a bomb and Barack Obama's inauguration has renewed interest in disarmament. The document calls for watertight measures to stop terrorists or emerging states getting atomic weapons, deeper cuts in U.S.-Russian nuclear arsenals and the activation of a global nuclear test ban treaty. "Although the challenges are considerable, progress on these six steps would mark a decisive break from the deadlock of the past decade," the Foreign Office said in a policy document. Entitled "Lifting the nuclear shadow: Creating the conditions for abolishing nuclear weapons," the document is to be launched by Foreign Secretary David Miliband later on Wednesday. Prime Minister Gordon Brown has said Britain will play a key role in efforts to speed up nuclear disarmament, though it was not immediately clear why Britain was proposing the new plan now, or what its timeframe would be. Brown, unpopular at home because of the economy's woes but well-regarded abroad, is due to host a conference in March on cooperating with countries that want to develop a civilian nuclear energy industry. Nevertheless, Brown's government plans to spend up to 20 billion pounds on a new fleet of nuclear weapons-armed submarines to replace the ageing current fleet. He has warned against unilateral nuclear disarmament. The British initiative comes against the background of a meeting of world powers on Iran's nuclear program in Germany Wednesday. The West suspects Tehran is using a civilian program as a cover to make nuclear arms, which Iran denies. Obama has backed direct diplomacy with Iran, which could involve talks, a departure from the policies of former President George W. Bush. Obama has also said he would seek reductions in all U.S. and Russian nuclear weapons, signalling an interest in arms treaties not shown by his predecessor. Last edited by vector7; February 5th, 2009 at 15:27. * An agreement among signatories to the nuclear Non-Proliferation Treaty on tougher measures to prevent more states getting the weapons. * Working with the U.N. nuclear watchdog to help states which want to develop a civil nuclear energy industry to do so in safe ways. * Negotiations between the United States and Russia and agreement on substantial further reductions in their nuclear arsenals. Other states with nuclear weapons should reduce their forces to a minimum, it said. * Bringing the Comprehensive Test Ban Treaty into force, banning all nuclear weapons test explosions. Nine states still need to ratify the treaty before it can take effect, the paper said. * Talks on a Fissile Material Cut-Off Treaty, which would ban future production of nuclear bomb-making fissile material. * Discussion of political, military and technical issues that would have to be resolved if nuclear weapons states were to reduce and ultimately eliminate their arsenals. Britain has proposed a conference of the five original nuclear weapon states in 2009 to discuss confidence-building. Before the fall of communism, arms control was the yardstick by which all East-West relations were measured. Soviet-US détente produced a series of agreements to cut back the huge nuclear arsenals of each superpower. But although the Cold War ended with the collapse of the Soviet Union, the nuclear stand-off remains. And the recent worsening in Russia's relations with the West, together with the expiry in December of the crucial 1991 Start pact to reduce nuclear warheads, has again made arms control a vital component of global security. It is an issue that President Obama now seems ready to tackle with an urgency not seen for two decades. Russia and America still have 5,000 nuclear warheads each. Under the Start agreement, nuclear stockpiles were halved from the previous total 10,000 warheads. But Mr Obama now wants to negotiate a new treaty that would limit each side to around 1,000. His commitment to a new round of mutual reductions is not in doubt. In his inaugural address, he made arms reduction his third foreign policy priority, after Iraq and Afghanistan. And yesterday Hillary Clinton, his Secretary of State, and Sergei Lavrov, her Russian counterpart, began talks on fresh reductions and other key strategic issues. Mr Obama has chosen his timing well. Vladimir Putin, Russia's powerful Prime Minister, has halted plans to deploy tactical missiles near the Polish border and recently spoke of “positive signals” from the Obama Administration. Mr Putin now wants to show a friendlier face - not because he is any less strident in his nationalism or from any softening in his determination to make Moscow's voice heard, but because Russia has suddenly found itself weak again. Russia has been one of the great losers from the credit crunch. Its oligarchs have lost billions, the rouble has plunged precipitously, foreign reserves that were once the world's third largest have been much depleted, and the fall in the oil price has sharply cut Russian earnings. The swagger and arrogance that marked Russia's intervention in Georgia, its treatment of foreign investors and attitude to the outside world have gone. Moscow now needs better relations abroad while it deals with rising discontent at home. Better relations between Moscow and Washington are also crucial to Mr Obama's other foreign policy priorities. US forces in Afghanistan are to be increased, but in recent months the supply chain through Pakistan has been disrupted by Taleban and Pakistani insurgents. Nato needs an alternative secure route. Bringing in supplies through Russia, however, is politically difficult as long as Nato's relations with Moscow remain fraught. There is scope, therefore, for each side to further its interests by compromise. Russia's main demand is for America to scrap its proposed missile shield to be deployed in Poland and the Czech Republic. It also wants a Nato retreat from the prospect of membership for Georgia and Ukraine. Mr Obama has already voiced scepticism about the first of these Bush policies (although Iran's launch of a missile may reinforce the call to build this shield); and Nato has recently put further expansion on ice. Russia, however, must now modify its stance elsewhere, especially in the UN Security Council. Its obstruction of tougher sanctions against Iran and Zimbabwe has had no policy basis except that of pique and the wish to repay the West for imagined slights. Moscow has as much interest as anyone in preventing Iran developing nuclear weapons, and should now make this amply clear to Tehran. It has no need to court the dictator in Zimbabwe. Nor does an alliance with Venezuela make sense. Changes here, and talks on nuclear weapons, would do much for both Russia and America as well as advancing global security. Last edited by vector7; February 5th, 2009 at 15:31. Gates, however, has blasted this vision as naïve. In a speech at the Carnegie Endowment last fall, he dissed Andrew Carnegie's (conventional) arms-reduction efforts and said that nuclear disarmament is impossible "as long as the tragic arc of history continues its course." Instead, he emphasized the need to fund development of the Reliable Replacement Warhead (RRW), a technologically questionable program that Congress axed because it entails, in effect, fielding new nuclear weapons-an action that takes us the wrong way on Article VI. And last year, Gates appointed nuke-hawk James Schlesinger to chair a panel on nuclear security-a panel which, among other things, reported that it is "crucial" for the United States to maintain nuclear weapons in Europe as a deterrent (to whom, it didn't say). Obama's "most difficult challenge," the report says, "will be in persuading this nation of the abiding requirement for nuclear forces." True, Gates's Nuclear Posture Review may yet encourage significant moves toward nuclear disarmament--and many nuclear experts would probably support the RRW if it were approved in conjunction with major steps to renew the nuclear compact, such as ratification of the nuclear test ban treaty, further cuts to the U.S. and Russian nuclear arsenals, and a global cutoff of the production of fissile material. Nevertheless, there's plenty of evidence to suggest that Gates is not steering our nuclear posture in the game-changing direction that nonproliferation wonks would prefer--and that Obama promised during his campaign. If the 2009 Nuclear Posture Review focuses on "the abiding requirement for nuclear forces" instead of the abiding requirement to improve our nonproliferation efforts, then the United States will miss a major opportunity to prevent the spread of nuclear arms this century--many of which will undoubtedly be aimed at us. Russia moved swiftly yesterday to extend a hand to President Obama over American plans for big cuts in nuclear weapons. Sergei Ivanov, the Deputy Prime Minister, said that Russia was ready to sign a new strategic missile treaty with the US. “We welcome the statements from the new Obama Administration that they are ready to enter into talks and complete within a year, the signing of a new Russian-US treaty on the limitation of strategic attack weapons,” said Mr Ivanov, a hawkish former Defence Minister, who was once seen as a candidate to become the president of Russia. Grigory Karasin, the deputy Foreign Minister, also hailed the initiative. The Strategic Arms Reduction Treaty (Start) signed by the US and the Soviet Union in 1991 expires in December. It reduced stockpiles held by the two states from 10,000 to 5,000 but there has been little progress in negotiating a successor. Talks faltered in part over President Bush’s enthusiasm for siting a missile-defence shield in Eastern Europe, a move that infuriated Russia. A delay in the programme could ease Russian concerns and pave the way for talks. U.S. President Barack Obama will propose a massive reduction in the American and Russian nuclear arsenals through a new bilateral treaty on disarmament. Such a move could have broader and more profound implications for U.S.-Russian relations. U.S. President Barack Obama will propose to Russia that both Washington and Moscow reduce their nuclear weapons stockpiles by 80 percent — with a treaty cutting the number of nuclear warheads to 1,000 apiece, The Times of London reported Feb. 4. Though the White House has not yet made a formal announcement, such a move could have profound ramifications for the ongoing negotiations between the new U.S. administration and the Kremlin. Geopolitical Diary: A New Start for Arms-Control Talks? Bilateral disarmament is immensely important to Russia. Faced with an aging nuclear arsenal, a dramatic quantitative decline in the Kremlin’s nuclear arsenal looms on the horizon, and replacement systems have either experienced difficulty in development or been slow to be fielded. Moscow knows that it cannot sustain its current arsenal much longer, but has struggled because the rules of the nuclear game in the 21st century have not been defined. With continued hope for a new treaty, Russia wants to keep its options open in order to retain its negotiating position and wait until the finer points of such a treaty become clear (for example, if certain classes of delivery systems might be prohibited). A new treaty on disarmament offers Russia two things. First, it places limits on the parameters of the two states’ nuclear arsenals. Second, it essentially locks Washington into defined force structure and prevents another nuclear arms race that Moscow knows it cannot win. It accomplishes this by pushing for explicit prohibitions and specific limitations that constrain the United States from dramatically changing the composition of its arsenal, and thus the strategic threat Russia must counter. By urging limitations, Moscow can avoid the kind of massive spending on the nuclear arsenal that helped drive the Soviet Union into the ground. Simultaneously, it serves the needs of the Russian resurgence by putting the White House and the Kremlin at a negotiating table on equal footing, reminiscent of the Cold War. Its massive stockpile of nuclear weapons is one of the few ways in which Russia is still uniquely distinctive in the global community. There is no clearer way of reminding the world of that than bringing the United States back to the negotiating table to discuss something the entire international community agrees on — the reduction of the world’s two largest nuclear arsenals. The Pentagon has struggled with the underlying purpose of its nuclear arsenal since the end of the Cold War. Unsure of what the future held (vis-a-vis China, for example), it has sought to keep its options open, and eschewed rigorous, highly-structured arms control treaties that not only place a cap on the size of the arsenal, but place restrictions on the structure and disposition of its nuclear weapons. The 9/11 attacks and a constant fear of weapons of mass destruction did little to help assuage U.S. concerns about an uncertain strategic environment. What has changed is not control of the White House but the fact that Russia has found the critical pressure point of the United States: the logistical nightmare of Afghanistan. With the deterioration of the situation in Pakistan, the American need for a rapprochement with Russia has taken on a new urgency. At the moment, Moscow has held all the cards; not simply its own territory, but its influence over the Central Asian states that would be critical to the establishment of alternative supply lines. Russian Prime Minister Vladimir Putin’s consolidation of power has allowed Russia to move aggressively in its periphery while the United States lacked military resources to counter. Russia even used its control of natural gas to divide Europe and prevent a consolidation of European powers that would support American policies against Russia. The disarmament treaty is therefore a great incentive to entice the Russians to come to the table, as they did in 2002 to sign the Strategic Offensive Reductions Treaty. And Moscow will be willing to make very real and very deep concessions if it can get the sort of rigorous treaty it desires — and it does so in a way that encourages the Russians to come to the table. The United States is simply not in a position to force the Russians to acquiesce. For Russia, it is all one negotiation: not just a potential alternative supply route to Afghanistan, but American plans for placing ballistic missile defense installations in Europe, and the position of the United States — and the rest of NATO — on what remains of Russia’s periphery, particularly Georgia and Ukraine. By signaling a willingness to move forward with nuclear disarmament talks, the White House opens up the possibility for movement on all of these issues. Although American uncertainty about the future strategic environment remains deep, everyone on the American side also believes that enormous reductions in the U.S. nuclear arsenal are in order. The immense stockpiles on both sides are exceedingly expensive to maintain and keep deployed; both the White House and the Kremlin would like to lower the costs to a more reasonable level through extensive reductions. Further reductions have always been a possibility, but while Obama would sacrifice some long-term freedom of action if he gives the Russians some of the rigor in the treaty that they desire, in exchange he could potentially cement a long-term working relationship with the Kremlin. The government has been accused of its left hand not knowing what the right hand is doing over its 'contradictory' attitudes towards nuclear disarmament. The foreign secretary has unveiled the steps that need to be taken for the world to move towards a nuclear weapon-free future. But campaigners have turned on the speech over continued plans to replace or upgrade the Trident missile system to a cost of up to £76 billion. Greenpeace said the Trident plans "severely undermined" David Miliband's comments. "Until the government puts plans to replace Trident on hold, anything they say about ridding the world of nuclear weapons is severely undermined," said the party's executive director John Sauven. Kate Hudson, chair of the Campaign for Nuclear Disarmament, said Mr Miliband's speech, which accompanied a policy information paper from the Foreign Office was a "great disappointment", which treated Trident as the elephant in the room. And the Liberal Democrats said the government's leadership on non-proliferation was threatened by the "premature and provocative" decision to renew Trident ahead of the global disarmament conference next year. The policy document, which by its own admission "is not about launching new initiatives", comes after it emerged Barack Obama was prepared to delay the deployment of a US missile shield in eastern Europe to help persuade Russia to begin cutting its stockpile of nuclear warheads. Mr Obama reportedly hopes to reduce both countries' arsenals by 80 per cent. Deputy Russian prime minister Sergei Ivanov has already reacted warmly to the claims. "Britain is in danger of playing catch-up to the Obama administration, which has already performed a massive policy U-turn on Bush's attitude to disarmament and missile defence," said Mr Davey. "A renewed push for disarmament is crucial to a strategy to deal with non-proliferation, international terrorism and rogue states where the old policies of deterrence have been thrown into doubt. "The British government will need to do far more, both with our own nuclear arsenal and with cooperation for international control of the nuclear fuel cycle, before these words can be moved beyond rhetoric." "Over 100 military and defence experts, backed by the Obama administration, are calling for a new global programme to eliminate nuclear weapons," Mr Sauven added. "But our government seems determined to scupper this major new initiative by replacing Trident and tying Britain into nuclear rearmament for the next 40 years." Ms Hudson went on to say that Britain had been "overtaken" by President Obama's vision. "His intentions are on a par with those of [Ronald Reagan] and [Mikhail]Gorbachev, who achieved the disarmament of thousands of nuclear weapons in the late 1980s," she said. "Mr Miliband's 'vision' does not match up." The Foreign Office told inthenews.co.uk it was "working hard to reinvigorate the global commitment to a world free from nuclear weapons". Yesterday it published a booklet of three conditions and six steps that needed to be taken for widespread disarmament to take place. Prime minister Gordon Brown has already said he wants to "accelerate disarmament amongst possessor states, to prevent proliferation to new states and to ultimately achieve a world that is free from nuclear weapons". Both Mr Obama and Britain's hopes of complete disarmament are stymied by the unclear nuclear objectives of Iran and the belligerence of North Korea. Although it accepts the challenges are considerable, the Foreign Office insists it wants to end the deadlock of the last decade but admits it will require the active engagement of the entire international community. "The UK is working to build a broad coalition of governments, international organisations, non-governmental organisations and businesses which share the vision of a world free of nuclear weapons and to forge agreement on how we will work together to make it happen," the department said. WASHINGTON, Feb. 4 (Xinhua) -- The Obama administration on Wednesday voiced its concern over the process of further reduction of nuclear weapons, looking forward to more cooperation with Moscow. "The administration is very serious about further reductions in nuclear weapons," State Department spokesman Robert Wood told reporters, when asked whether President Barack Obama is ready to seek an 80 percent reduction in the U.S. nuke stockpiles. "The START treaty expires in 2009, so negotiations with Russia on a replacement treaty will be on a fast track," said the spokesman, adding "The administration is looking at how it wants to work this issue." The START, signed by U.S. President George Herbert Walker Bush and USSR President Mikhail Gorbachev in 1991 and came into force in 1994, will expire in December 2009. The treaty places a limit of 6,000 strategic -- or long-range --nuclear warheads on each side, and limits the number of strategic delivery vehicles -- such as bombers, land based and submarine based missiles -- to 1,600 each. It was the first treaty requiring the elimination of U.S. and USSR -- now Russian -- nuclear weapons systems. According to the treaty, its extension should begin at least a year before the expiration. According to Wood, the U.S.-Russia 2+2 meeting participated by foreign ministers and defense ministers from the two sides would remain. "We certainly have been wanting to discuss and have very good and thorough and serious discussions with Russia on missile defense, and we want to see that at some point happen." Analysts here said the Obama administration expects to ease up tensions with Moscow, which was ignited over the U.S. missile defense system plan and the enlargement of the NATO, through more strategic cooperation and conversation with the Russian government. Obama's predecessor, George W. Bush and his administration planned to deploy 10 missile interceptors in Poland and a radar system in the Czech Republic as part of its European missile shield. Meanwhile, the Bush administration had voiced its strong support for Georgia and Ukraine to join the NATO. Russia strongly opposes the measures, saying they pose threat to its security. Russian President Dmitry Medvedev announced plans to deploy the missiles in Kaliningrad shortly after Obama was elected U.S. president in November 2008, obviously to counter the U.S. missile defense system plan in Eastern Europe. And in the Russia-Georgia conflict in August 2008, the Kremlin has showed its tough stand on defending its core interest against the United States and its NATO allies by recognizing South Ossetia and Abkhazia, both from Georgia, as independent countries. This Thursday Russian newspapers report on the U.S. plan to cut down nuclear weapons by 80%, note the start of the presidential race in Iran and interview Russian and American defence intellectuals on Russia-U.S. relations. KOMSOMOLSKAYA PRAVDA writes that while the issue of the elements of the U.S. missile defence system in Eastern Europe is still hanging in the air, pending the results of a feasibility study, Washington has been busy preparing a brand-new offer to Russia: to stand down and destroy 80% of each side’s nuclear weapons. That would leave both nations with approximately 1000 nuclear weapons each, says the paper. The article also reminds the readers that a new Russia-U.S. strategic assault weapons limitation treaty is due this year, and that in spite of the fact that the American initiative goes beyond the expected conditions of the new treaty, Moscow has already signaled that it is ready to discuss with the U.S. any ideas concerning nuclear weapons reduction. 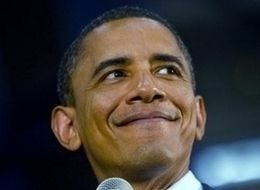 The paper says that Barack Obama’s initiative is going to draw a lot of flack in Congress, especially from the Republican congressmen who are likely to site Iran’s recent satellite launch and North Korea’s preparations for a launch of an intercontinental ballistic missile as arguments against the proposed weapons reduction. NEZAVISIMAYA GAZETA writes on the same topic: the new U.S. administration seems to be rapidly dismantling the system of international relations created by George W. Bush. It says that the offer to Russia to reduce nuclear arms by 80%, quoted by the British media, includes, contrary to the usual form of weapons reductions in Russia-U.S. arms limitation treaties, means not only to cut down the strategic weapons but the tactical weapons as well. The paper says that the White House believes that a significant nuclear arms reduction by the U.S. and Russia would facilitate a firmer stance of the existing nuclear power in the matters of proliferation, especially regarding the Iranian and North Korean nuclear programmes. The paper also quotes a comment by Reuters saying that there is a possibility of a ‘new détente’ starting in Russia-U.S. relations and predicts a possible general deal between the two nations that could include cooperation in the fight against the global economic crisis, cooperation on the issues of Iran, Afghanistan, nuclear disarmament, missile defence, conventional weapons and the expansion of NATO. The quoted comment also mentions the differences existing between the U.S. and Russia on many issues that may prevent such a deal from happening. The paper also quotes Dr. Sergey Rogov, the Director of the Moscow-based Institute of the U.S. and Canada, who says that significant reductions may indeed take place but it is too early to speak of 80% cuts, as arms reduction is a lengthy technological and political process in which every small detail is important. The academic also says that Barack Obama’s idea of a fast nuclear disarmament may reflect the opinion of certain circles in the U.S. who consider the nuclear weapons a liability in the circumstances when the U.S. has undisputed and overwhelming supremacy in non-nuclear strategic weapons. The same paper follows the beginning of the presidential race in Iran. It says that if the former president Mohammad Khatami decides to contest, that may mean a direct clash between the supporters of totalitarianism and reform. Khatami, says the paper, came to power in 1997 with a programme that included a whole range of reforms, but the second-in-command position prescribed by the Iranian political system for the president didn’t allow him to implement any of these reforms. The paper says in Iran any political decision may be confirmed or condemned by the Ayatollahs who are a ‘government above government’ in Iran. The paper says if the rural population supports Mahmoud Ahmadinejad, as happened in the previous election, that would mean his victory. The paper says the rural folk are much more likely to vote for Ahmadinejad who dresses modestly and creates jobs in the rural areas then for Khatami who holds a score of honorary doctorates from Western universities. The paper adds that his election could be instrumental in the improvement of U.S. relations with Iran and may help the U.S. regain some of the influence it used to have on Iran before the Islamic revolution, and for that reason it is extremely unlikely. KOMMERSANT says that support for Khatami comes from the reformist-minded Iranians who are getting more and more politically active. Khatami says he has to run in this election, so he can make good on his promises to the people made during his first presidential campaign in 1997. The paper says that his reforms were blocked by the conservative clergy, but Khatami promises to implement them this time, as it can improve the image of Iran in the world and discharge the tense international political atmosphere around the country. The paper also notes the special support of the spiritual leaders of Iran enjoyed by the current president Ahmadinejad and says that it is very unlikely that he could be defeated by anyone in the coming presidential race. VREMYA NOVOSTEI publishes two interviews reflecting Russia-U.S. relations seen from two very different angles. Professor of national security Stephen Blank of the U.S. Army War College says that Russia and the U.S. are so different in their perception of the world and of the modern threats that they can never find enough common ground for fully-fledged cooperation, least of all – strategic partnership. He says that Russia’s system of national security is based on the idea of complete sovereignty, that Russia would simply refuse to delegate part of that sovereignty to anyone – but that is a necessary condition of participation in an alliance, such as, for instance, NATO. The American academic adds as an example that ‘Russia still publicly says that Iran presents no immediate nuclear threat, and cites that as the reason for its position being totally different from that of the U.S. But simultaneously Russia is trying to use Iran against the U.S. in the Central Asia.’ Blank also calls the U.S. missile defence ‘an American National program’ 40 years in the making, which cannot be stopped by anyone, whatever opinion on the matter the Obama administration may have. Aleksandr Sharavin, the Director of the Moscow-based Institute of Political and Military Analysis says that the U.S. is probably the only major nation with which Russia has never been at war, and also a nation together with which Russia has fought two world wars as an ally. He says Russia and the U.S. are bound to be allies if they do not want to lose their leadership role in the 21st century. Last edited by vector7; February 5th, 2009 at 15:11. MOSCOW - U.S. Secretary of State Hillary Clinton and her Russian counterpart Sergei Lavrov agreed on Tuesday to work more closely on key strategic issues, Russia's Foreign Ministry said. The two foreign ministers spoke by telephone at the request of Washington, the ministry said in a statement. "In the course of the discussion, the accent was given to the mutual interest of building a positive agenda for our relations after the arrival of the new U.S. administration." "Especially noted was the importance of strengthening bilateral cooperation, including questions of strategic dialogue and economic cooperation, as well as current international problems such as the resolution of (the situation in) Afghanistan," the statement said. Moscow's ties with Washington sank to a post-Soviet low in August over the war in Georgia, but some diplomats hope relations could thaw under the new administration of U.S. President Barack Obama. Russia's powerful Prime Minister Vladimir Putin has cautiously noted positive signals from the new administration and a Russian news agency reported last month that Russia had halted plans to deploy tactical missiles near the Polish border. Though unconfirmed, the report has raised hopes the Kremlin could be indicating it wished to boost cooperation after rows over a U.S. missile defense system in Europe, the expansion of NATO and the war in Iraq. Obama and Russian President Dmitry Medvedev are set to meet for the first time on the sidelines of a Group of 20 summit in London in April. Both countries want to boost nuclear cooperation and discuss how to replace a key Cold War strategic arms control pact. Russian and U.S. diplomats say they are confident Moscow could find a deal with the new U.S. administration on replacing the START-1 pact, which expires at the end of this year. WASHINGTON, Feb. 4 (UPI) -- U.S. President Barack Obama is seeking to slash the nuclear stockpiles of the United States and Russia by as much as 80 percent, sources say. Obama is intent on re-engaging with Russia on the kind of arms reduction talks that resulted in the 1991 START treaty, which expires at the end of this year, and envisions as few as 1,000 nuclear warheads for each country, The Times of London quoted unnamed administration sources saying Wednesday. Negotiations on such a new arms treaty would include a review of the Bush administration's plans for an Eastern European missile defense shield, which the Bush administration said was meant to protect against "rogue states" -- but which Moscow sees as part of a NATO expansionist push, the newspaper said. The talks will be overseen by U.S. Secretary State Hillary Clinton, the sources said. "We are going to re-engage Russia in a more traditional, legally binding arms reduction process," The Times quoted a White House official saying. "We are prepared to engage in a broader dialogue with the Russians over issues of concern to them. Nobody would be surprised if the number reduced to the 1,000 mark for the post-START treaty." Henry Kissinger, the pioneer of Cold War detente during the Nixon era, has made a return to frontline politics after President Barack Obama reportedly sent him to Moscow to win backing from Vladimir Putin's government for a nuclear disarmament initiative. The Daily Telegraph has learned that the 85-year-old former US secretary of state met President Dmitry Medvedev for secret negotiations in December. According to Western diplomats, during two days of talks the octogenarian courted Russian officials to win their support for Mr Obama's initiative, which could see Russia and the United States each slashing their nuclear warheads to 1,000 warheads. The decision to send Mr Kissinger to Moscow, taken by Mr Obama when he was still president-elect, is part of a plan to overcome probable Republican objections in Congress. Mr Kissinger is believed to have won a verbal rather than written undertaking for the deal. Tom Graham, a senior associate at Kissinger Associates and a former member of the national security council in the White House, on Thursday confirmed that Mr Kissinger had met Mr Medvedev but denied that any negotiations had taken place and said he had not met with Mr Putin. However, a diplomatic source said that Mr Kissinger held two days of talks with Mr Putin at his country house near Moscow. While the details of the ambitious initiative are yet to be revealed, the proposal to return to the negotiating table after eight years of reluctance in Washington has been welcomed in Britain and elsewhere. Mr Obama apparently chose Mr Kissinger for his consummate diplomatic skills and his popularity in Moscow, an affection earned by his open acknowledgment of Russia's international resurgence. Despite his pariah status with many Left-wingers in Mr Obama's Democratic Party, the president forged relations with Mr Kissinger during his campaign. The compliment was returned when the 85-year-old veteran of the Nixon and Ford administrations said last month that the young president was in a position to create a "new world order" by shifting US foreign policy away from the hostile stance of the Bush administration. He publicly supported Mr Obama's notion of unconditional talks with Iran, though not at the presidential level. Further demonstrating his willingness to work with his opponents on foreign policy issues, Mr Obama turned to two veteran Republicans steeped in Cold War experience to press home his plans. Shortly after Mr Kissinger's trip, Richard Lugar, a Republican senator from Indiana who has worked on nuclear disarmament issues for 30 years, also visited Moscow. George Schultz, another former secretary of state, has also played a vital role. Observers say signs of progress towards a new treaty could come as early as this weekend, when senior government officials meet at a security conference in Munich. Joe Biden, the US vice president, is expected to address the conference and diplomats hinted he could announce the suspension of plans to erect a missile defence shield in central Europe, a project that has been frequently denounced in Moscow. Despite widespread praise for the proposals, many European officials are privately urging the United States to be cautious, aware that Kremlin policy towards the West in recent years has been characterized by reversals. Apart from worries over Russia's increasingly belligerent international policies, there is also little doubt a disarmament deal would benefit Moscow more than Washington -- even if the Kremlin has threatened to stall talks on a new treaty in the past. Russia has long called for a new agreement to replace the 1991 Strategic Arms Reduction Treaty (START), which expires on Dec 5. Under START, the two Cold War adversaries agreed to halve their stockpiles to 5,000 warheads apiece. An addendum negotiated in 2002 under the START framework saw both sides agree to cut the number of warheads in service to between 1,700 and 2,200 each. Despite pressure from Moscow, the Bush Administration was reluctant to begin negotiations on a successor to START because it feared losing the flexibility needed to respond to potential challenges from rising nuclear powers such as China. The Kremlin, on the other hand, has been desperate for a new treaty because Russia's dilapidated nuclear stockpile is no longer sustainable either financially or practically. Despite developing a new class of intercontinental ballistic missiles, the bulk of Russia's arsenal has passed its sell-by date. Even though many warheads have been kept alive artificially, Russia has long been aware that most of its missiles will have to be decommissioned much faster than they can be replaced. Nuclear parity, the crux of Moscow's defence policy, is therefore fiction in all but name. A new treaty, however, would allow Russia to compete and free up money for other armament programmes. In return for a new disarmament deal, Mr Putin has demanded that the United States delay Nato membership for Ukraine and Georgia as well as shelving the missile shield, which Moscow believes is directed at Russia rather than Iran. The United States is reportedly ready to accept those demands after Mr Kissinger, who is deeply respected for his recognition of Russia's resurgence, may have won concessions of his own, a diplomatic source said. Frequent visits by Mr Kissinger to Russia since 2000 have largely gone unreported in the Western press. But in 2007, the Russian news agency Novosti reported that Mr Kissinger and Yevgeny Primakov, a former KGB master, were appointed by Mr Putin to co-chair a bilateral "working group" of Russian and American political insiders to tackle issues such as global terrorism, nuclear proliferation, and nuclear threats. Mr Putin is understood to have signalled his willingness to drop Russian objections over tougher sanctions against Iran and could also suspend the sale of sophisticated air defence missiles to Teheran which Washington fears could hamper a military strike against the country's nuclear installations. The UK deployed Trident nuclear missiles because they could cause the total breakdown of Russian cities by killing half their inhabitants, according to a top-secret document passed to the Sunday Herald. To ensure that the warheads inflicted "unacceptable damage" on Moscow and St Petersburg, the government was prepared to explode them at ground level to maximise lethal levels of radioactive contamination. These revelations are considered so sensitive that the Ministry of Defence (MoD) has tried to cover them up in case they hamper current plans to replace Trident. Senior officials are still carrying out the same kind of "Dr Strangelove arithmetic", critics say. A senior Russian military official has said that nuclear warfare could be the only appropriate response against likely 'new threats'. "New threats may emerge that could only be averted with the threat of nuclear weapons," said the head of the Russian General Staff on Monday, Russian information agency RBC reported. The official, Nikolai Makarov added that possible materialization of the threats necessitate that Russia keep open the option of upgrading its nuclear firepower. He made the remarks commenting on the country's plans to renovate its armed forces which are expected to yield a 'more compact, more mobile and better equipped' military. The reforms were ordered by the Russian Commander-in-Chief Dmitry Medvedev last year in view of the August confrontation with Georgia. The enhancement was continuously brought forward as the United States would not to revise its missile plans in eastern Europe. "We are planning to complete a reform of the military within the next three or four years. The established time frame has not been revised," Makarov concluded. These are the words of Russia’s strongman prime minister, Vladimir Putin, spoken during a program nationally televised in Russia shortly after Barack Obama won the 2008 presidential election. Putin was responding to a question about whether he thought U.S.-Russian tensions would ease under new American leadership. Putin, and his successor as Russia’s president, Dmitri Medvedev, had spent the past few years in an increasingly harsh verbal sparring match with the administration of George W. Bush. Although President Bush had once famously stated that when he looked into Putin’s eyes he could “see his soul,” the warm personal relationship between the two men froze over as the United States undertook actions Russia perceived as strategic maneuvering. Russia itself appeared to deviate from the path of Western-style democracy and free trade, which hard-liners in the Bush administration had touted as the most compelling evidence that the United States had in fact won the Cold War. Putin’s incremental return to authoritarianism was reminiscent of the former Soviet Union, complete with an increasingly centralized economy. Russia felt threatened by what it saw as moves designed to contain Moscow: the withdrawal of the United States from the anti-ballistic missile treaty; an increased focus on the need for a missile defense shield deployed in Europe (ostensibly to counter any missile threat emerging from Iran); the aggressive expansion of NATO right up to the borders of Russia (absorbing all of the former Warsaw Pact nations, as well as several former Soviet republics in the Baltic). These actions, coupled with the U.S. invasion of Iraq and the U.S.-NATO occupation of Afghanistan, which gave the U.S. military access to bases in the former Soviet republics of Central Asia, created an image of an expanding NATO led by an increasingly hegemonic and militaristic America. In an effort to stop the expansion of U.S. power and influence in regions close to Russia, Moscow got together with its old arch-rival, China, and entered into the Shanghai Cooperation Organization (SCO). In cooperation with four former Soviet Central Asian republics (Kazakhstan, Kyrgyzstan, Tajikistan and Uzbekistan), Russia and China put in place the mechanism for Eurasian geopolitical coordination, with a strong military component, which would keep in check not only the forces of Islamic terrorism but also America and NATO. The Bush administration at first played scant attention to this new organization, but starting in 2006 had no choice but to stand up and take notice when the SCO held a meeting with India, Pakistan and Iran in attendance as observers. Since that time, the SCO has become a major regional force which has attracted the attention of nations such as Afghanistan (even under a U.S.-led occupation) and New Zealand, a longtime U.S.-NATO ally. Central Asian nations such as Uzbekistan and Kyrgyzstan, which had previously agreed to allow the U.S. military access to its air bases, are no longer laying out the welcoming mat, and all U.S. forces are expected to leave these bases soon. Rather than re-examining the cause-effect nature of U.S. actions and Russian counteractions, and formulating a new strategy to deal with a resurgent Russia in a manner that would reduce friction, the Bush administration instead announced its intention to deploy a ballistic missile shield, operating out of the territory of former Warsaw Pact members Poland and the Czech Republic. Ostensibly intended to deal with the emerging threat of long-range Iranian missiles targeting Europe, the missile defense shield was viewed by Russia as a dangerous escalation of the military threat posed by NATO. With a missile shield in place to defend against any surviving retaliatory capability, the United States and NATO could theoretically conduct a pre-emptive military strike against Russian targets. Russia’s protestations over this planned deployment fell on deaf ears. In August 2008 the situation between the U.S., together with its NATO allies, and Russia worsened when Russia and the Republic of Georgia engaged in a sharp regional conflict in the Caucasus which rapidly assumed global consequences. Georgian President Mikheil Saakashvili had promised his people that he would unify Georgia by reoccupying the breakaway regions of South Ossetia and Abkhazia. In early August, Saakashvili ordered Georgian troops into South Ossetia in response to what he believed was Russian provocation. Russia responded with a massive counterattack, which not only drove the Georgian troops from South Ossetia, but carried on into Georgia proper, with Russian forces occupying the Georgian port city of Poti and threatening the Georgian capital of Tbilisi. Prior to the Russia-Georgia conflict, NATO had held internal discussions concerning membership for both Georgia and Ukraine. The Russians, by striking Georgia, made it clear that such an action would be intolerable to Moscow. The U.S. responded by sending warships, as part of a NATO naval task force, into the Black Sea. Russia in turn sent a small naval detachment, as well as a flight of heavy bombers, to Venezuela. Neither deployment represented much in the way of a serious military threat, but together they spoke volumes about the deterioration of U.S.-Russian relations under the Bush administration. Strengthening the U.S.-Russia Relationship.” Illarionov is a Russian citizen presently employed by the Cato Institute. He began his testimony with a brief explanation: “For a number of years I worked at different posts in the Russian government and Administration of the Russian President.” According to Illarionov the Russian regime is a KGB regime, and the United States policy toward this regime is worse than appeasement. It is best characterized as retreat. Since the collapse of the USSR all American efforts to improve relations with Russia have come to nothing, says Illarionov, and new initiatives from President Obama are doomed; this is because the Americans fail to recognize the nature of the Russian regime. There is an unwillingness to grasp “the internal logic and intentions of the Russian leadership.” It seems that the free world is unable to deal with powerful authoritarian regimes. The secret police of Russia compose a brotherhood, and a system of order. This brotherhood, says Illarionov, is highly disciplined and enforces loyalty with “the ultimate penalty.” They readily use violence against others, and are ruthless in the pursuit of power. They dominate and bully ordinary Russians, who cannot oppose them. They dominate the state apparatus, holding 77 percent of the top 1,016 government positions. There is virtually no independent mass media in Russia, and the level of anti-U.S. propaganda is greater now than in Soviet times. The secret police are supreme in Russia. With regard to previous police states, the ruling party or dictator held absolute authority. But the Russian secret police are themselves in control – answering to no one. “The political regime in today’s Russia is therefore quite unique,” noted Illarionov, “since so far there was probably no country in world history … where a secret police organization [captured] all political, administrative, military, economic, financial, and media powers.” This also gives the regime staying power. Since elections are rigged, no opposition can ever take control of the government. Unless the supremacy of the Russian secret police is acknowledged and understood, the United States will not be able to deal with the regime in Moscow. According to Illarionov, the American side has retreated “on almost all” bilateral issues. If the Americans are alarmed by any development in Russia, whether it is the violation of human rights or the muzzling of the mass media, the Kremlin simply suggests that the Americans shut up and mind their own business. The West has refused to penalize or confront Russia’s destructive behavior. “There were no sanctions whatsoever for any behavior of the Russian authorities,” noted Illarionov. As if to scold the U.S. Congress itself, Illarionov noted that the Committee hearings were dedicated to “collaboration” with the secret police of Russia. According to Illarionov, “the term chosen for the agents of the U.S. administration’s policy … is ‘collaborationists.’ Collaboration between the two governments today could only be on the Russian regime’s terms and for fulfillment of the Russian government’s goals.” The United States, in effect, has chosen something worse than appeasement. It has chosen the path of outright surrender. “We know the consequences of the collaborationist policy,” warned Illarionov. GENEVA | It's official - the U.S. and Russia want to revive arms control talks to cut their nuclear stockpiles. Disarmament goals pronounced by Secretary of State Hillary Rodham Clinton and Russian Foreign Minister Sergey Lavrov on the issue had not been heard from the one-time enemies in years. “The right moment has come today, for the first time after the end of the Cold War, for making real progress in resuming the global disarmament process on a broad agenda,” Mr. Lavrov said at the U.N. Conference on Disarmament in Geneva over the weekend. Mr. Lavrov's comments were preceded by another bold statement by Mrs. Clinton during their meeting in this city, long associated with Cold War-era arms control negotiations. Just a year ago, Mr. Lavrov delivered an unusually pessimistic speech at the Conference on Disarmament, a 65-nation body that has failed to produce any substantive results for years. Russia and other countries blamed the George W. Bush administration's decision to scrap the 1972 Anti-Ballistic Missile Treaty, which was necessary for the U.S. to begin developing a missile-defense system. Mr. Clinton promised Mr. Lavrov that the Obama administration's priority will be completing a follow-on accord to the 1991 Strategic Arms Reduction Treaty (START) before it expires in December. The agreement's official name is START I, though negotiations on its two successors were never finalized. President Obama and Russian President Dmitry Medvedev are expected to meet on the sidelines of a global financial summit in London early next month. In spite of the secretary's enthusiasm, however, “no decisions on the particulars of the U.S. negotiating position have been made,” said Daryl Kimball, executive director of the Arms Control Association (ACA) in Washington. Unlike the Russians, the Americans have not appointed negotiators, he added. After a visit to Moscow to discuss arms control issues and specifically START, Sen. Richard G. Lugar of Indiana, ranking Republican on the Senate Foreign Relations Committee, urged Mr. Obama to name an ambassador-at-large for strategic negotiations with Russia. One name that has been mentioned for a senior position in the field is Rose Gottemoeller, who is expected to become assistant secretary of state for arms control. A former deputy undersecretary of energy for defense nuclear nonproliferation, she was director of the Carnegie Moscow Center until recently. Last summer, Ms. Gottemoeller made known her views on the future of START in an article in Arms Control Today, a magazine published by the ACA, and co-written by Alexei Arbatov, head of the Center for International Security at the Russian Academy of Sciences' Institute of International Economy and International Relations. The article suggested that START be replaced by “an enhanced SORT,” a reference to the 2002 Strategic Offensive Reduction Treaty, also known as the Treaty of Moscow, which was negotiated by the Bush administration. The new accord would include SORT's basic premises, but with specific verification measures that do not exist in the 6-year-old document. Such measures can be found in START, but analysts deem many of them outdated. “For the Russian side, the major goal would be to maintain a semblance of parity with the United States, while addressing the basic problem with SORT - the lack of acceptable counting rules and corresponding verification procedures,” the article said. “For the U.S. side, the major goal would be to maintain sufficient transparency with respect to Russian strategic nuclear forces, while making sure that force cuts would not be too expensive for the United States,” it said. The authors also suggested that “the upper limit allowed for strategic nuclear forces would be 1,700 deployed warheads, to be achieved by the end of 2012.” SORT required that both countries reduce their arsenals to 1,700 to 2,200 warheads, and today they are at the higher end, Mr. Kimball said. Although the Obama administration's official positions on START are still unknown, Russia has announced two major requirements. “A future agreement should be legally binding,” Mr. Medvedev wrote in a letter to the Conference on Disarmament, which Mr. Lavrov read to delegates on Saturday. “It is of no less importance that the instrument should be forward-looking and should limit not only warheads but also strategic delivery vehicles, i.e. intercontinental ballistic missiles, submarine-launched ballistic missiles and heavy bombers,” the Russian president wrote. Diplomats in Geneva reacted positively to both Mr. Lavrov's and Mrs. Clinton's remarks, though some said that other accords should be taken up even while a replacement of START is being negotiated. “There's no reason to wait for START to re-energize the Conference on Disarmament on a fissile material cut-off treaty,” said John Duncan, Britain's ambassador to the conference. • John Zarocostas contributed to this report. Joint statement: "New agreement will mutually enhance security of the parties"
White House: Obama will visit China and "resume the human rights dialogue"
(CNN) -- U.S. President Obama and Russian President Dmitry Medvedev announced Wednesday that their countries will soon begin negotiations on reducing their nuclear arsenals, according to a joint statement from the two leaders. talk Wednesday in London ahead of the G-20. The announcement came after Obama and Medvedev met in London ahead of Thursday's G-20 summit. The statement said the two leaders agreed that the Strategic Arms Reduction Treaty on the Reduction and Limitation of Strategic Offensive Arms -- which expires in December -- "has completely fulfilled its intended purpose and that the maximum levels for strategic offensive arms recorded in the treaty were reached long ago." "They have therefore decided to move further along the path of reducing and limiting strategic offensive arms in accordance with U.S. and Russian obligations under Article VI of the Treaty on the Non-Proliferation of Nuclear Weapons," the joint statement said. Negotiators from both countries will soon begin talks "to work out a new, comprehensive, legally binding agreement on reducing and limiting strategic offensive arms to replace the START Treaty," the statement said. Earlier, two senior Obama administration officials said another goal of the president's meeting with Medvedev was to set a date for a U.S.-Russian summit in Moscow, Russia, this summer. The joint statement said negotiators from both countries would report their progress on working out the new nuclear arsenal reduction agreement by July. "The new agreement will mutually enhance the security of the parties and predictability and stability in strategic offensive forces, and will include effective verification measures drawn from the experience of the parties in implementing the START Treaty," the statement said. "One of the things I have always believed strongly is that both the United States and Russia and other nuclear powers will be in a much stronger position to strengthen what has become a somewhat fragile thread-bare nonproliferation treaty if we are leading by example and if we can take serious steps to reduce the nuclear arsenal," Obama said. "I think people on both sides of the Atlantic understand that as much as the constant cloud, the threat of nuclear warfare has receded since the Cold War, that the presence of these deadly weapons, their proliferation, the possibility of them finding their way into the hands of terrorists, continues to be the gravest threat to humanity. What better project to start off than seeing if we can make progress on that front. I think we can." 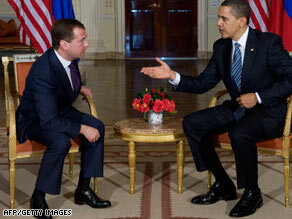 The U.S. president said there's been a rift in the past several years in the U.S.-Russian relationship. "There are very real differences between the United States and Russia, and I have no interest in papering those over. But there are also a broad set of common interests that we can pursue" and "great potential for concerted action," Obama said. 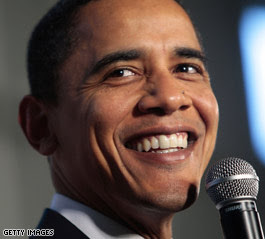 Along with the nuclear issue, Obama said, the countries "have an interest in stabilizing the world economy. Both countries have an interest in finding a sustainable path for energy and dealing with some of the threats climate change that we discussed." The two agreed to set up a high-level strategic and economic dialogue chaired by Cabinet-level representatives -- Secretary of State Hillary Clinton and Secretary of the Treasury Timothy Geithner for the United States, and State Councilor Dai Bingguo and Vice Premier Wang Qishan for China. Obama and Hu appear to have deferred the question of human rights, one of the greatest points of friction between the two sides. "The two sides agreed to resume the human rights dialogue as soon as possible," the White House statement said. China did not immediately confirm the details of the U.S. announcement. President Obama faces tough sales job. WASHINGTON — After 69 days in which international issues have taken a back seat to attempts to rescue the economy at home, President Obama takes the world stage this week as a wildly popular figure among the people of Europe but facing a difficult task in selling his plans to the continents' leaders. The president plans to push for a new approach to the war in Afghanistan, aggressive action to stop the proliferation of weapons and a more united European effort to combat the global recession. But if the new U.S. president thought his popularity would cause foreign governments to fall quickly into line behind a new American leadership, experts warn, he could be in for a rude awakening. Still, White House officials describe the trip as a way of confronting the "inherited challenges" left over from the Bush administration, and said they expect the three summits of world leaders he will attend to produce broad agreement on new approaches to economic recovery, fighting terrorism and securing peace in unstable regions. "We think (the trip) is obviously going to be a fundamental part of the president's agenda of restoring America's standing in the world, and particularly in Europe," said Denis McDonough, deputy national security adviser for strategic communications. Longtime observers of cross-Atlantic presidential trips say the president retains much of the star power he exhibited during his campaign swing through Europe last summer, when he delivered a speech to more than 200,000 people in a German square. "It's still a case that European leaders want to be seen next to Obama, preferably with Obama, his arms around their shoulders and a big smile, because he's so popular in Europe," said Reginald Dale, a senior fellow at the Center for Strategic and International Studies. But replacing Bush with Obama has not wiped clean the substantial disagreements that remain between the U.S. and Europe. "That's an invitation to disillusionment," said Sen. John Kerry, D-Mass., the chairman of the Senate Foreign Relations Committee. "These are complicated times. There's an anger in the world ... about how people think our country has helped create these problems. The president has to lift heavily to get us over the Bush hurdle." Throughout the presidential campaign, Obama's rivals repeatedly questioned whether his youth and relative inexperience would make him a pushover when he came face to face with world leaders. Obama's mission now is to lay those doubts to rest, in part by making good on his campaign promise to improve the sometimes strained relations with U.S. allies abroad. Aides point out that Obama has been engaged in that effort since he took office, calling world leaders almost daily. Last week, he discussed his trip and the global economic crisis with French, German and British leaders, among others.